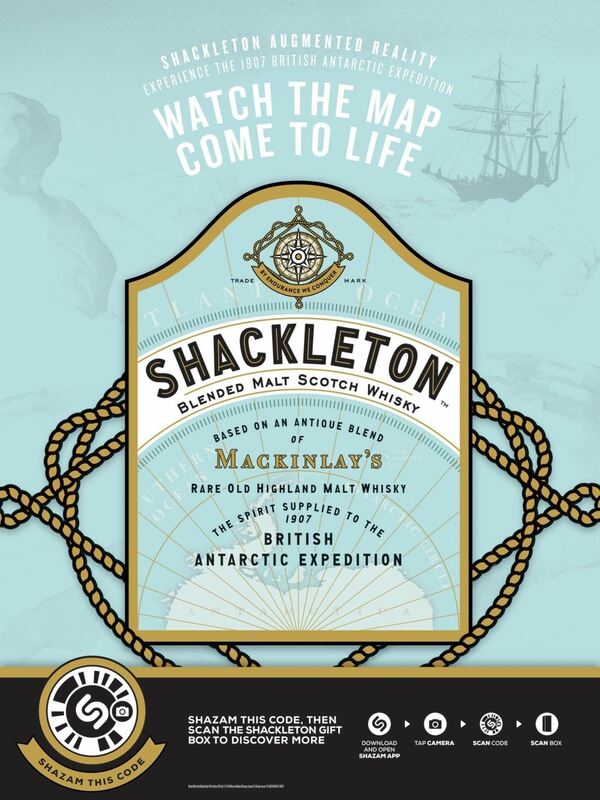 Last week, Shackleton Whisky launched an augmented reality experience via Shazam's app for iOS and Android. 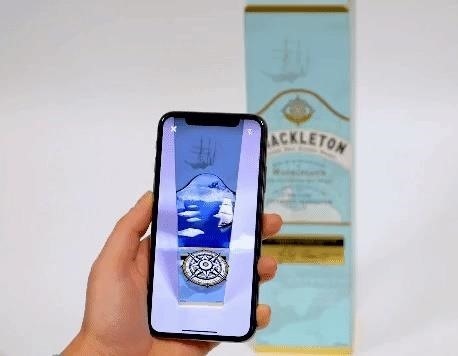 After scanning specially marked Shackleton Gift Boxes via the Shazam app's camera, the artwork of the product comes to life, with a virtual ship sailing forward into the real world. From there, users can view videos documenting the voyage to Antartica by the brand's namesake, Sir Ernest Shackleton, by touching the thumbnails that surround the ship. 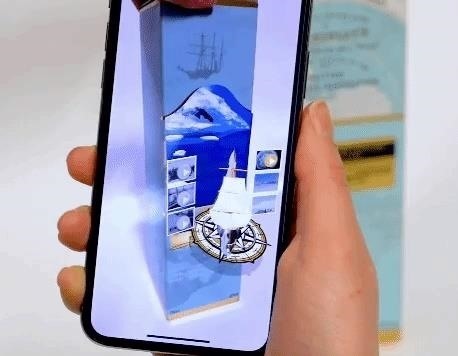 As with most marker-based or image recognition AR experiences, you don't actually have to buy the product to try it out for yourself. A digital copy of a promotional poster for the campaign (embedded below) will suffice. Best known for its ability to identify songs by sound, Shazam expanded its scope to include marker-based augmented reality experiences for brands in 2017. The Shazam app uses Zappar's AR platform as the basis for its service, with Shazam-branded markers standing in for Zappar's Zapcodes. In addition to the ZapWorks platform, Autodesk's 3D Studio Max was instrumental in the creation of the Shackelton AR experience. When Apple acquired Shazam last year, the announcement touted the app's song recognition abilities, with zero mention of augmented reality. "Apple and Shazam have a long history together. Shazam was one of the first apps available when we launched the App Store and has become a favorite app for music fans everywhere," said Oliver Schusser, Apple's vice president of Apple Music, in a statement. "With a shared love of music and innovation, we are thrilled to bring our teams together to provide users even more great ways to discover, experience and enjoy music." While Apple is as a big a proponent of AR as any other tech company, Shazam's Zappar-based image recognition capabilities seemed redundant, given that ARKit now offers the same skillset. For now, with the latest example of Shazam's AR marketing potential, pessimists can dismiss any fears that the acquisition would result in the shutdown of the app's AR features. And Shazam, along with Zappar, certainly has a home in marketing for wine and liquor brands, where its particular flavor of marker-based augmented reality is tailor-made for bottle labels. In fact, Treasury Wine Estates has established several lines of wine with AR packaging. Among recent standouts are Rémy Martin, Patron Tequila, The Macallan, Glenlivet, and Bombay Shappire, among others, each deploying these kinds of AR marketing tactics that are fast becoming the standard rather than outlier marketing experiments.